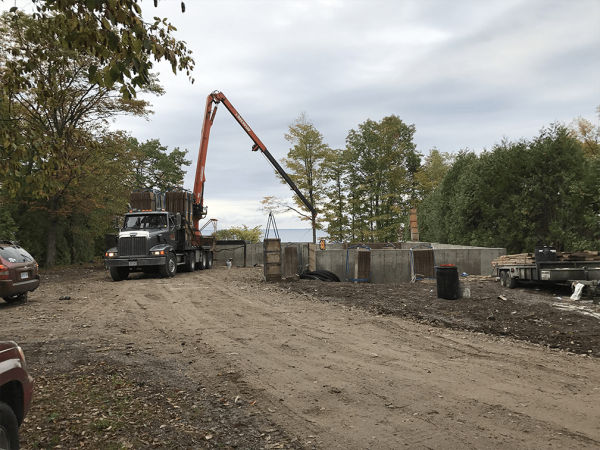 Once the house was staked out by the surveyor and we had a chance to do a walk around the site, we found that there was a tree issue on the lake side of the house. Trees are funny things. On a drawing, they are perfectly round. In reality, they tend not to be round. They lean to one side, grow and generally don’t behave like static objects. This means when the survey was done and the trees were marked on the drawing, we all thought we could work around most of the existing trees and only had to lose a few where the foot print of the house was. There was one tree in particular that posed an issue. It was very large, had a beautiful canopy and was a lovely mature tree. Originally planned to be kept, this tree required a closer look to ensure it was sound. Except the root was rotting at the ground. Survey drawings don’t tell you this. 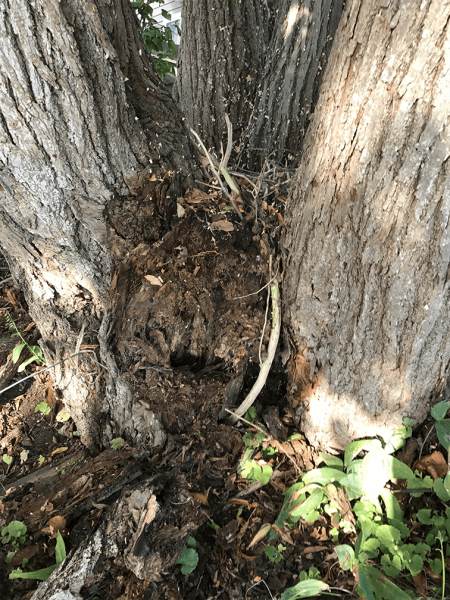 Root of large mature tree showing internal rot. We had the arborist examine the tree more closely. The determination was that it was not in good shape, given the age and condition of the base of the tree. We were faced with a choice. Given the recommendation of the arborist to remove the tree now, we decided to be safe and take it out. The arborist gave us more bad news. 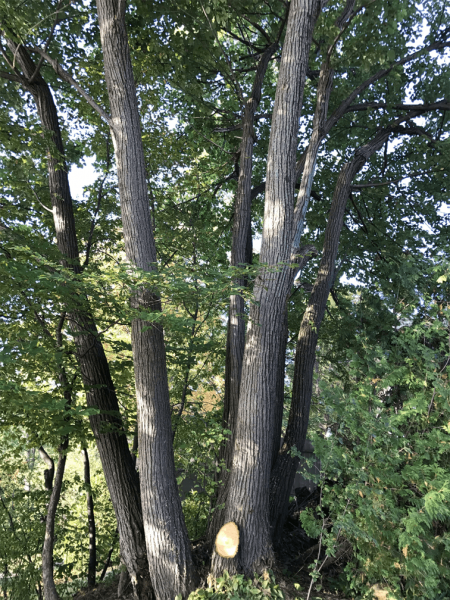 The property had 5 other Ash trees which we were told should be removed as well, because of the Emerald Ash Borer beetle which is destroying all the Ash trees in the area. So more tree removal happened than we had originally planned. 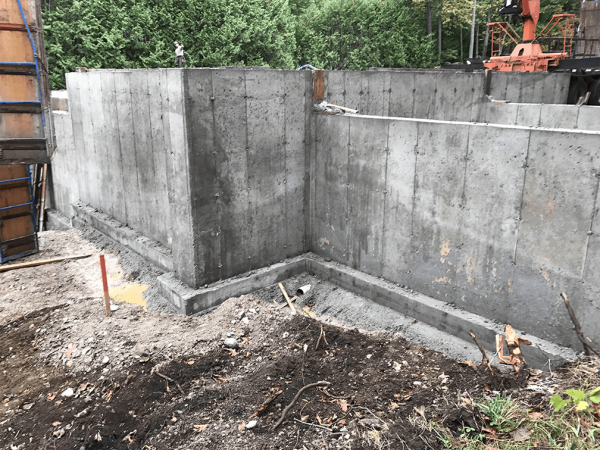 Fortunately this process did not delay digging or getting the foundation in. In addition, the weather through September and October was very cooperative. Forms from the foundation being removed by crane. 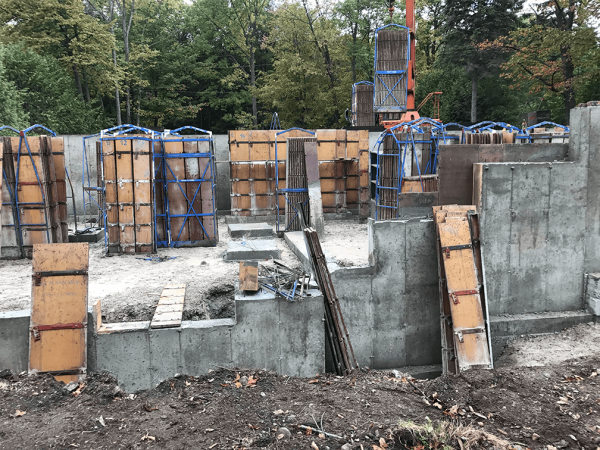 The footings and basement concrete walls were poured quickly. All went well. 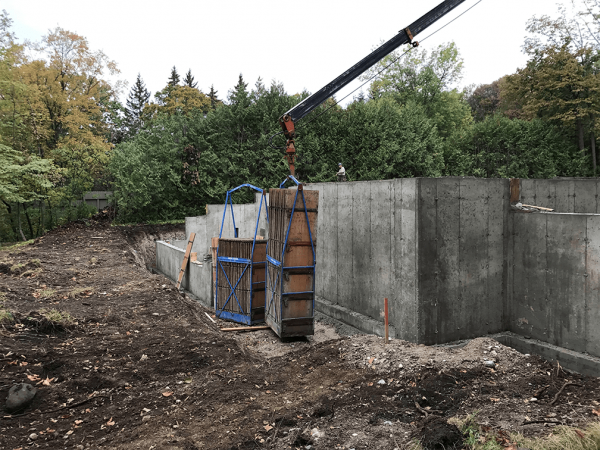 We had some coordination with the architect to ensure the contractor had all the correct dimensions, which is normal. 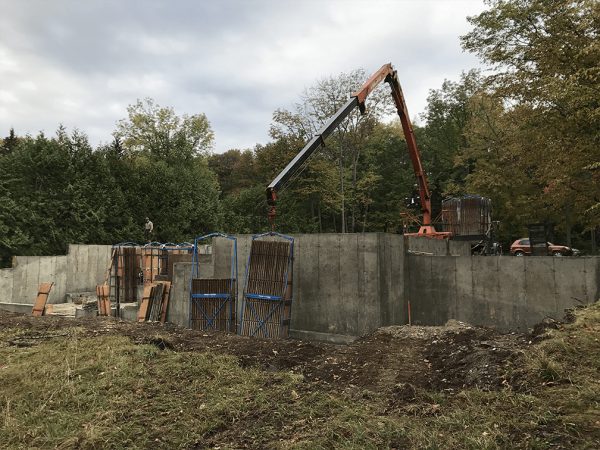 Here are more photos during the morning that the forms for the basement walls were being taken away.